The world of gaming is seeing of giving is observing multiple formative changes since the last few years, and a lot of new gaming devices have been invented, which give the gamers a better experience of playing games on their PCs. Though there are numerous consoles, where multiple games are playable, but PCs will still remain the best destination for gamers to play the most intensive and high-definition games, that will be available from time to time. Here are a few of the best gaming devices or accessories, which you should definitely purchase, if you want to get a seamless gaming performance, and want to take your gaming to a different level of fun. You can also click here to find the same list, along with the links to view their specs. If you are fond of playing racing games and you do that with the help of multiple monitors, you should definitely go for Logitech G27 Racing Wheel, which are almost everything that you need for playing a racing game on your PC. It comes with a steering, along with a proper gear system, such that you can play your racing games with manual transmission. Apart from it, there are also brakes, which can be used to stop the car within the game quite efficiently. 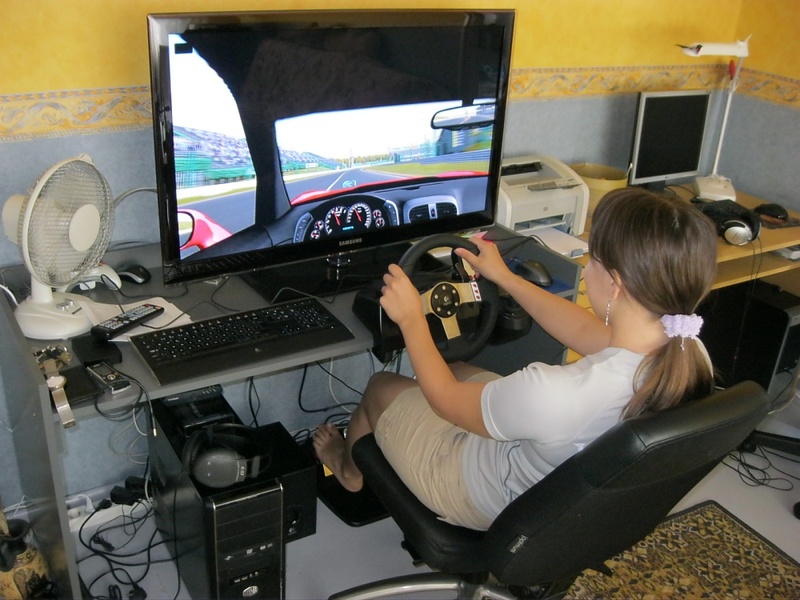 The steering wheel has everything to turn almost 900°, and it is almost everything, which you need for driving a car on a PC game. Mouse is one of the most important accessories for playing games. But if you want a better performance of playing games on your PC, you should go for a very precise mouse, which can help you play the fighting games, with maximum precision and convenience. The Cyborg M.M.O.7 is one of the best mouse that you can go for. It has a very fancy design, best suited for gamers, and there is option for shifting the mode, along with game control with multiple commands for multiple games and a 5D button, which can help you to access the comments with your thumb. As an add-on, you be getting back light for each of the buttons present in the mouse. A lot of gamers are fond of quality sound, while they play games. The Logitech G930 Gaming Headset is a headset, which you should go for if you are fond of that. It can help you to focus on the most important sounds, while you play games. It also come with a noise cancellation microphone, and a 2.4 GHz wireless connectivity, along with surround sound, which can help you to receive sounds very clearly. Gaming goes to a completely different level, if you use a gaming stick or a rumble pad. The Saitek P3600 Cyborg Force Rumble Pad.Is one of the best gaming pads, and it can be programmed with a number of gaming commands. You can also play games with an analog joystick, which can give you a better performance and experience, while you play racing games, action games, and most importantly the sporting games, which require a lot of precision.